I decided to use for BOTH corners to make a frame. In this case, symmetry seems like a good idea. I made sure that my space it aligned and angled properly. With a little bit of pre-planning this design came together very easily. This set offers lots of great color option and each one of them has the lovely shimmer effect. It is perfect as a basic set or an add-on to your existing watercolor set. I hope that you find my post helpful in getting to know this corner die from Memory Box. 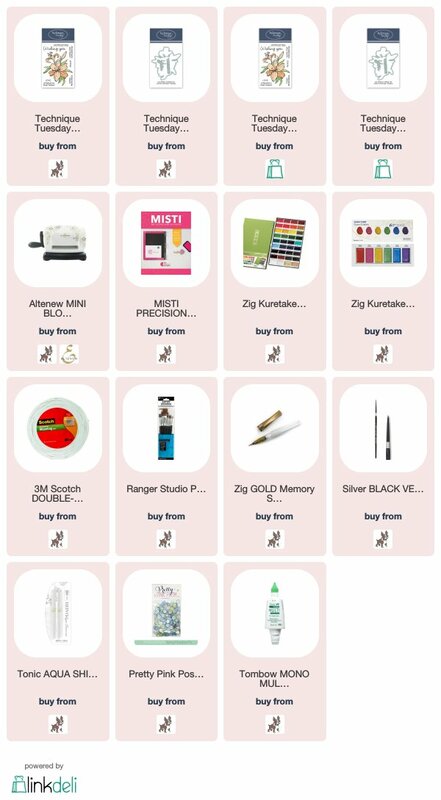 The products that I used are linked below to my favorite online store! 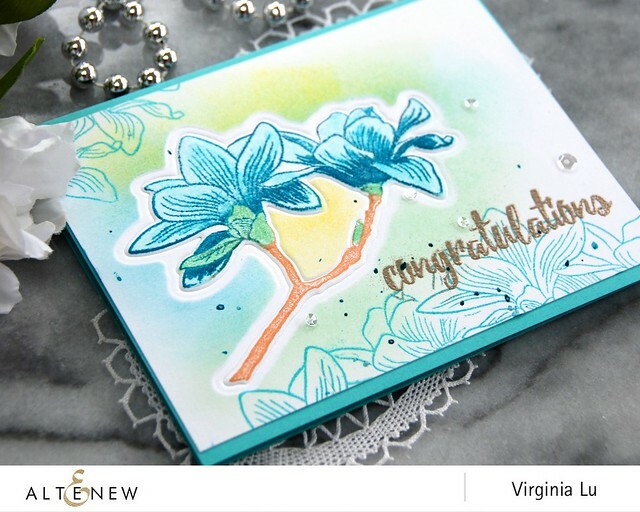 Today's is another installment of Technique Tuesday feature! This is my 2nd week of featuring a technique on a Tuesday with Technique Tuesday products. If you miss seeing my previous post, please click here. 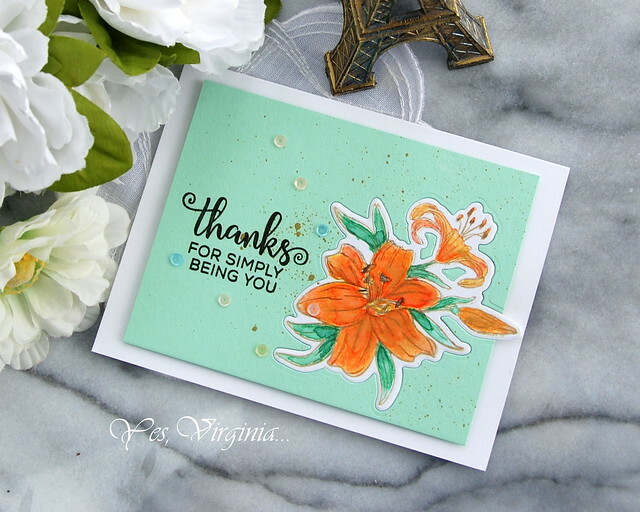 For this feature, I am highlighting Inlaid Die Cut.There are many ways of doing inlaid die cutting. It mainly involves die cutting and putting the dies back to the original spot. 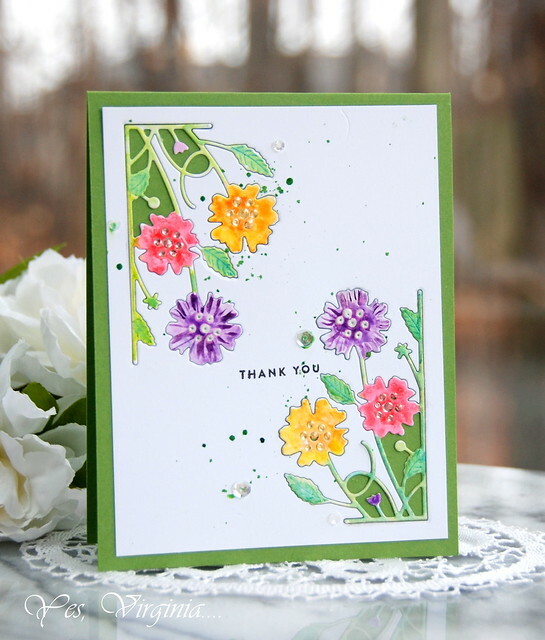 With the variation of coloring medium and use of paper, it makes a sophisticated impact. 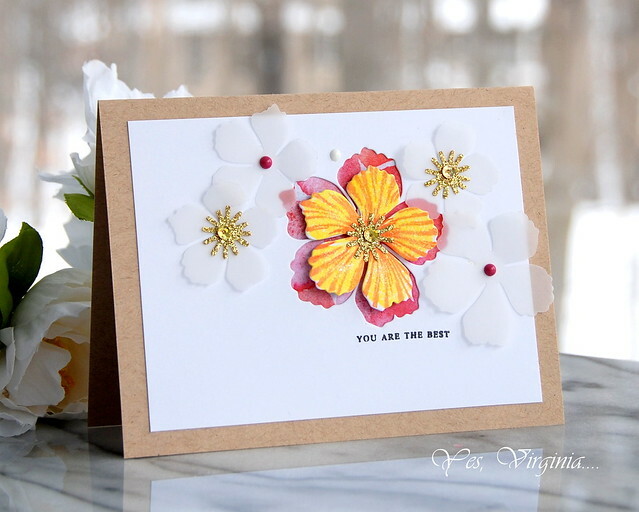 1. choice of color card stock: for this particular design, I used colored card stock against the die to show some contrast. 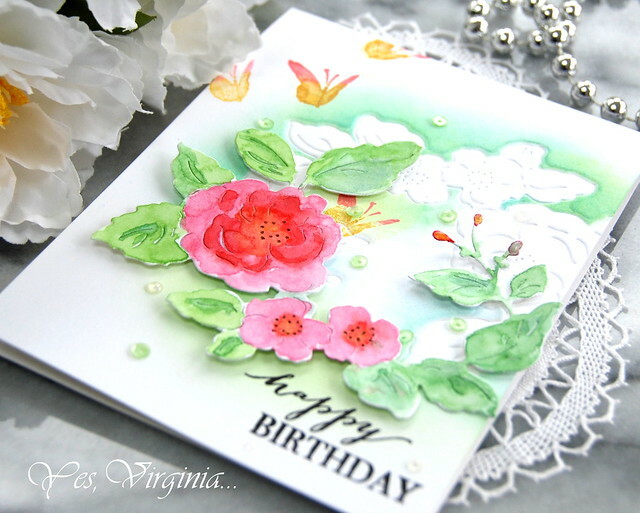 You can use pattern paper, too! 2. plan ahead: decide where you want to put the die and make that die cut. for example, I purposely used it on the right hand side. 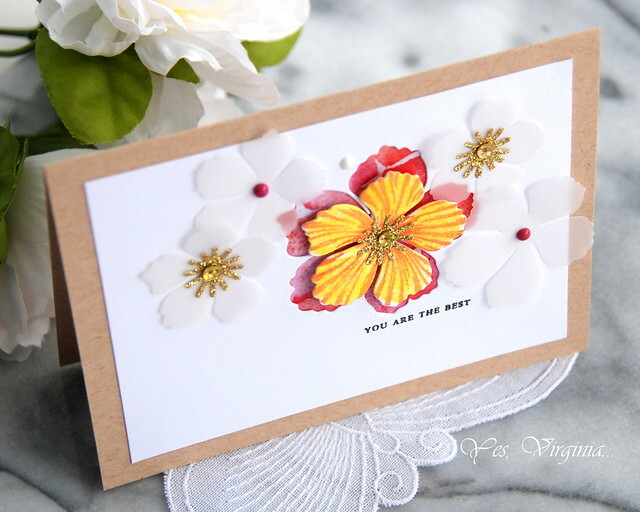 3. show off the die cut edges: since the particular die has edges all around. 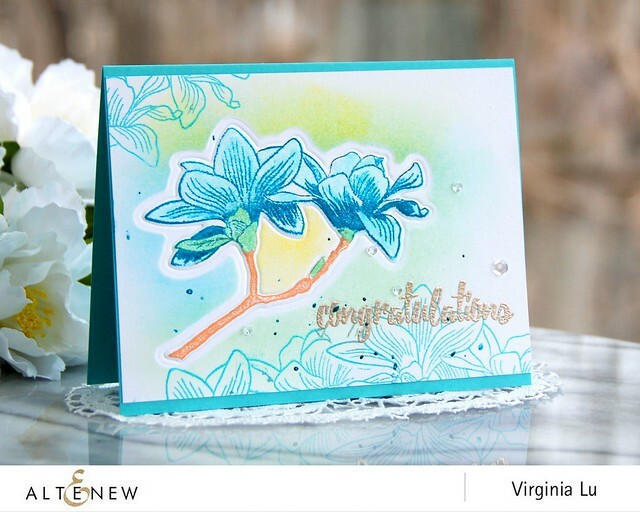 Why not create a contrast with the coloring and the card stock? 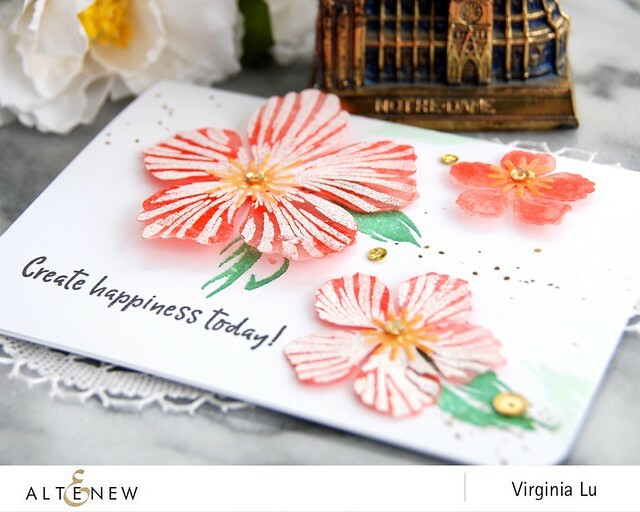 Be sure to save the tiny die cut pieces in between! 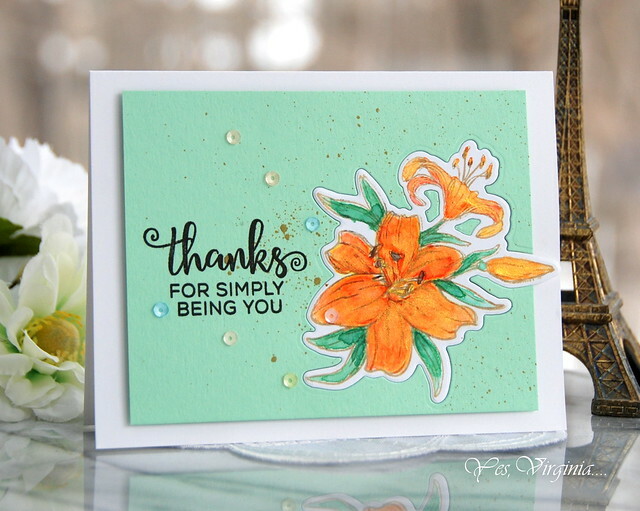 I had lots of fun coloring this Tiger Lily. 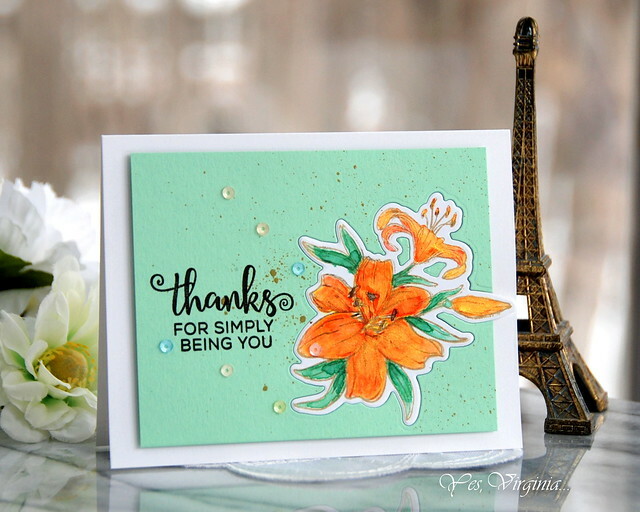 Whenever I see orange Tiger Lilies and am always drawn to the rich colors and hues. To jazz it up, I added some gold watercolor from my Gansai Tambi (36 Colors). Of course, adding some splatter is always a good idea! Hope you enjoy today's feature! Your comments today will count as part of the Technique Tuesday Giveaway! 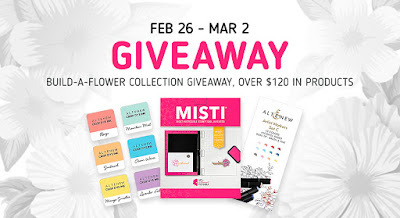 The winner will be announced after March 6th post. The products that I used are linked below. 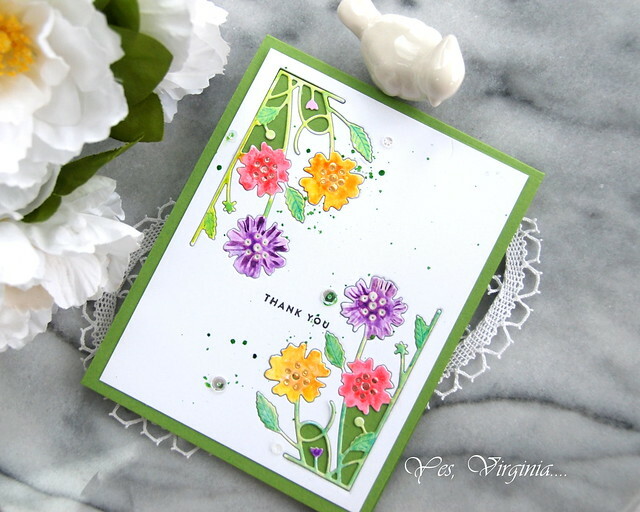 You can find all the latest from Technique Tuesday here. 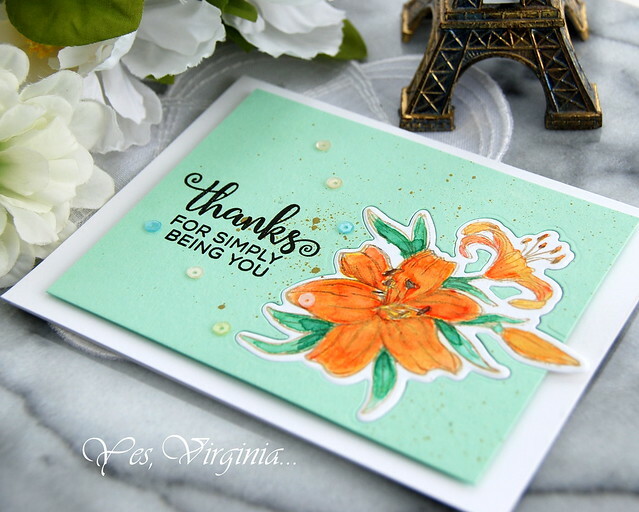 Shop Technique Tuesday products over Simon Says Stamp here. 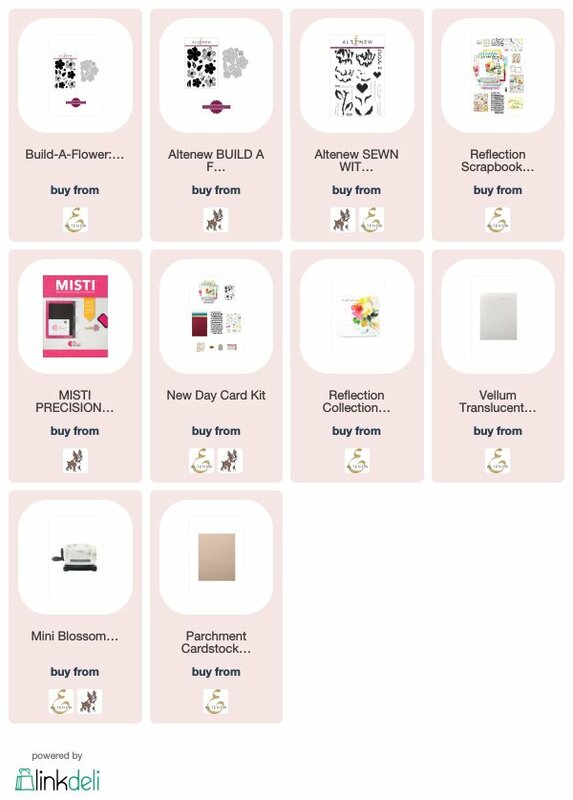 Lastly, if you love sales and metals dies, Spellbinders is having a Spring Clearance Sale! How cool is this Heart Box? Click here or here to shop. I will get a small commission. I so appreciate your support. We had a little guessing game a few days ago (see post here). your absolutely know your stuff! ink-blending with Distress Oxide (background)---check! You see, in order to facilitate the ink-blending, I needed another piece of die to cover the dry-embossed area and ink-blended the background. The masking part is subtle and hidden, but it is much-needed. So there, my small bag of "tricks"! 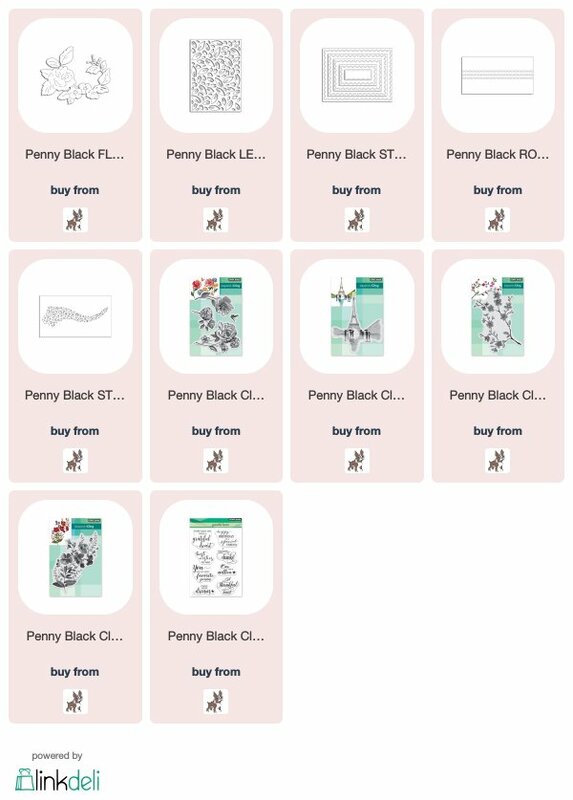 I will be sharing more Penny Black creations with the following products. 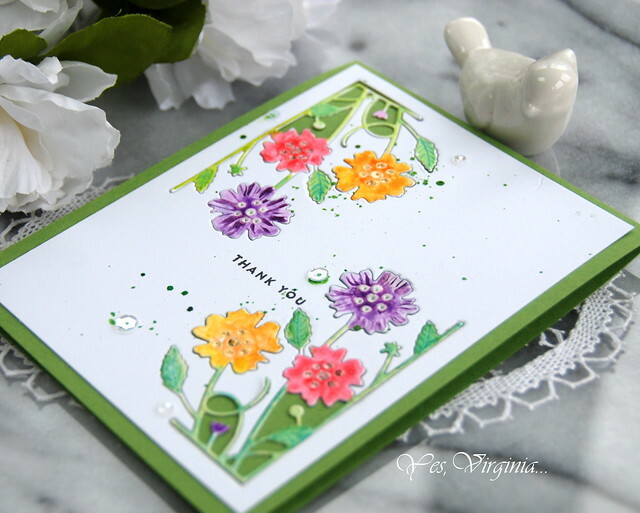 These are my favorites from the latest release over Penny Black. We have over 30 comments...which is WOW! Thanks for bringing spring back to our eyes! 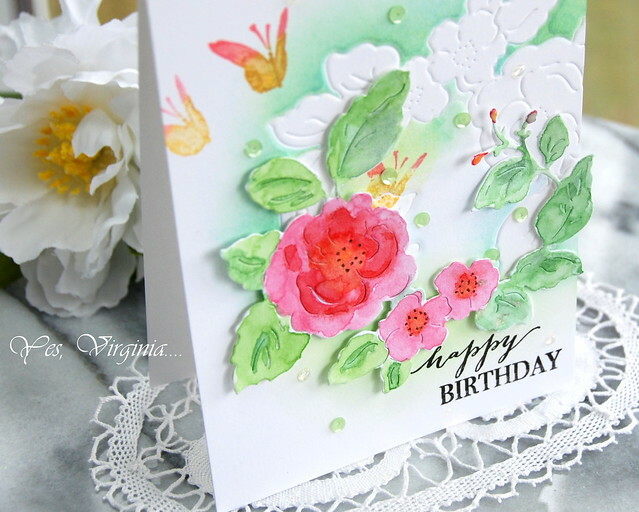 I love the dry embossing technique and the water coloring around it! 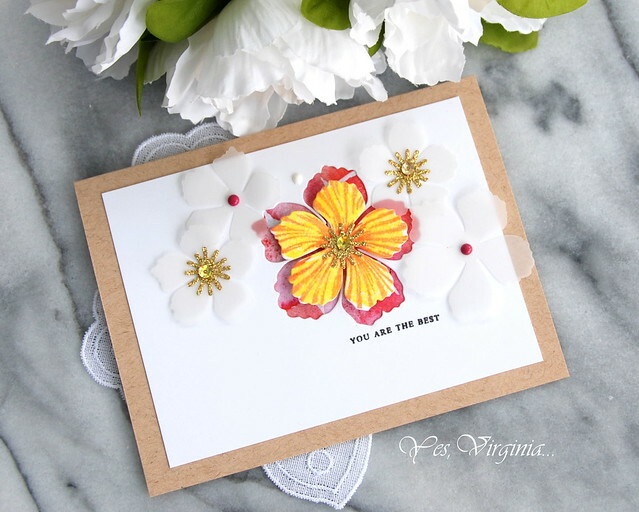 Congratulations, Vikki, please e-mail me becr8ive2@gmail.com and I will send you a card and this Love Notes Die. I love the interactive aspect of this and appreciate that you took a look at my card and gave me feedback! 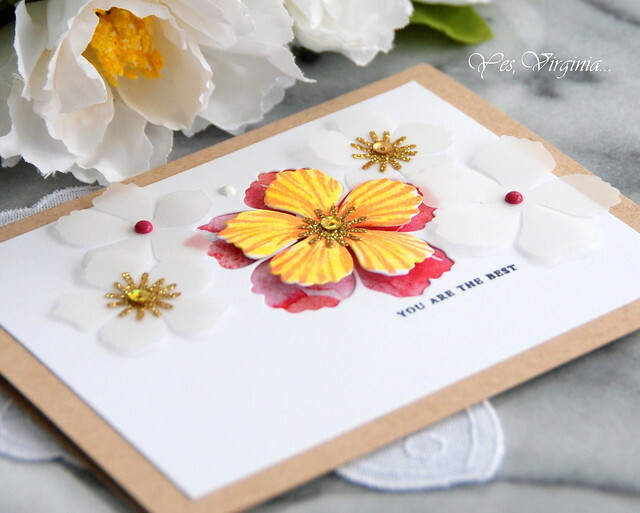 Also, you can now see my work over spellbinders here, here and here. There are still lots of selections over concord & 9th! 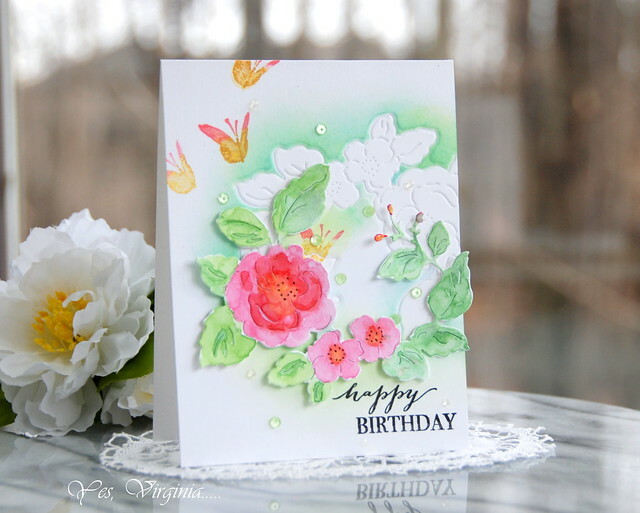 Do you love "dreamy" cards? I think today's card is kind of dreamy...!!? I have a play with the vellum and dimension. There is not much of a technique involved...except some paper-layering. 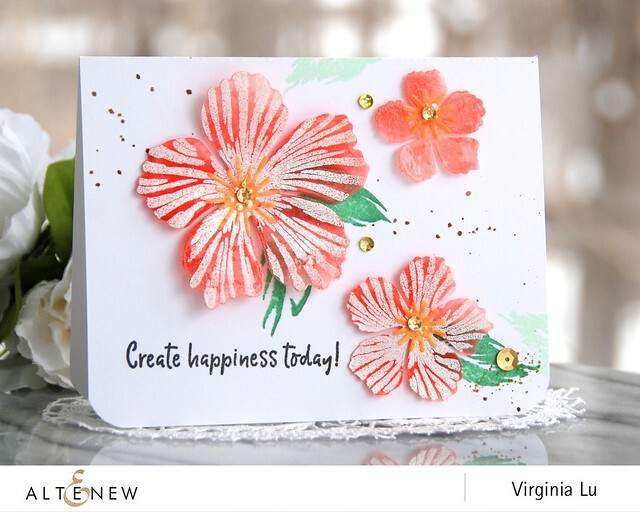 Under the die cut is a piece of pattern paper from Altenew's New Day Paper Pad. Why mess with technique when a few simple die cuts can do so much? Hope that you find it dreamy as I do. 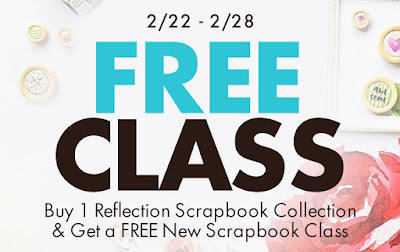 and you get a FREE Scrapbook Class! 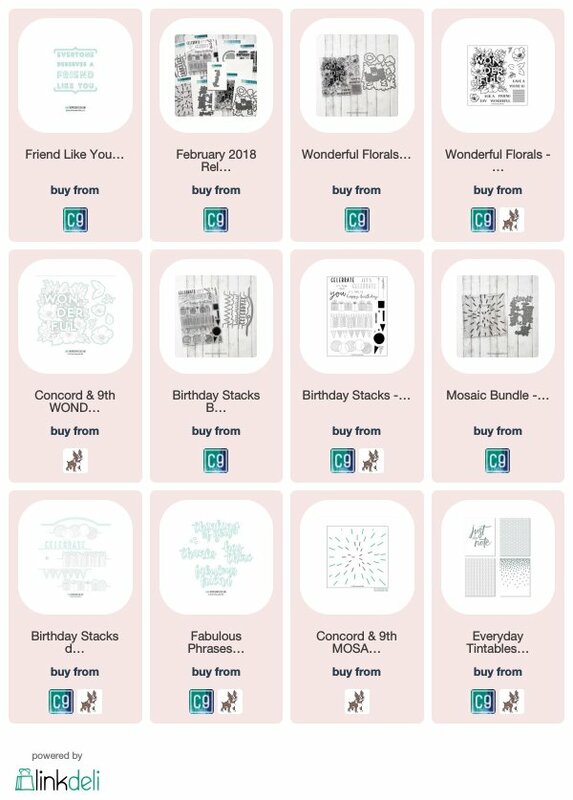 Click HERE to get the Scrapbook Kit. 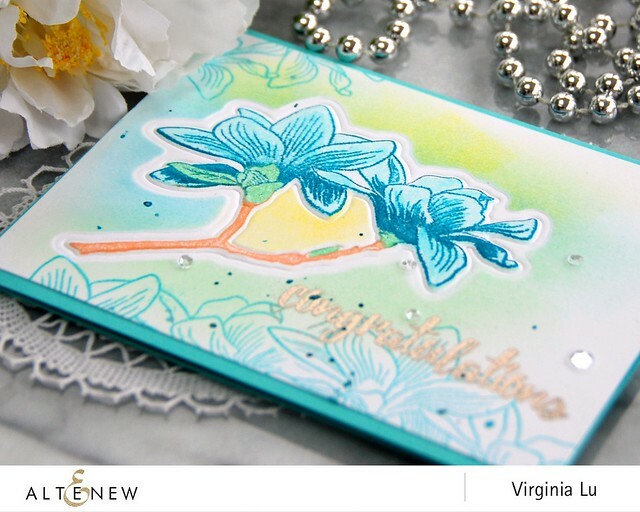 Receive a FREE Scrapbook Class! 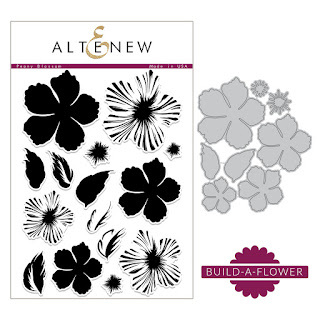 When you purchase the kit, send Altenew an email at academy@altenew.com with your order number and they will set you up with free access to the Stamps Meet Scrapbook Class. 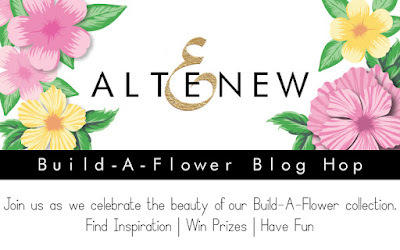 You can also check out the Altenew SALE here. This die is only $0.25! Wow. Thank you for your comments from yesterday's post. There is still chance to play the guessing game. That's it for today. Have a beautiful day! Keeping It Light and Fresh with A Guessing Game, Too! We need GREENS and FLOWERS in our lives! Haha, it works like magic the next day when you wake up. Pre-planning the layout and design is almost always a good idea. So, I created a matching background with the die. I made this card to beat the winter blah. 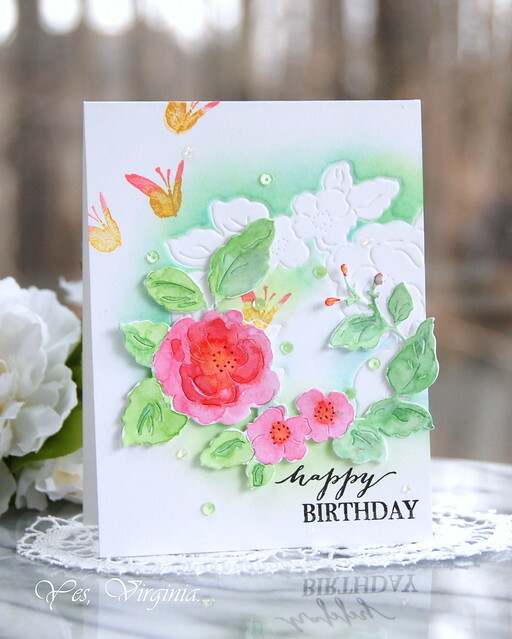 I think I have succeeded it because looking at this card makes me happy! For once, I am not going to explain what techniques I used. 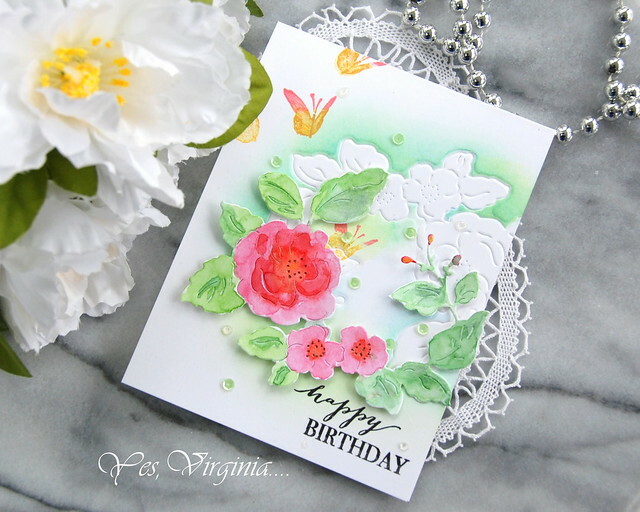 INSTEAD, YOU, my dear readers/followers, please point out WHAT technique I used in this card. I will pick a random winner who will receive one of my cards and this very Penny Black Metal Die called Love Notes. 👉👉 One comment per person. Please list only ONE technique in your answer. Basically, ANYONE who sees and comments on this post has a chance to win! The winner will be announced on this Sunday's post. Thanks so much for your support and feedback. 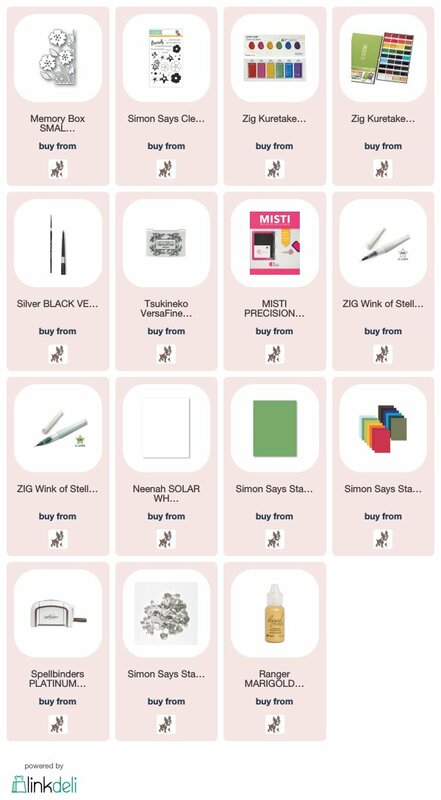 Your use of my affiliate links to make your online purchase is much appreciated.